An otoscope is also known as auriscope which is a medical device used for examining ears. 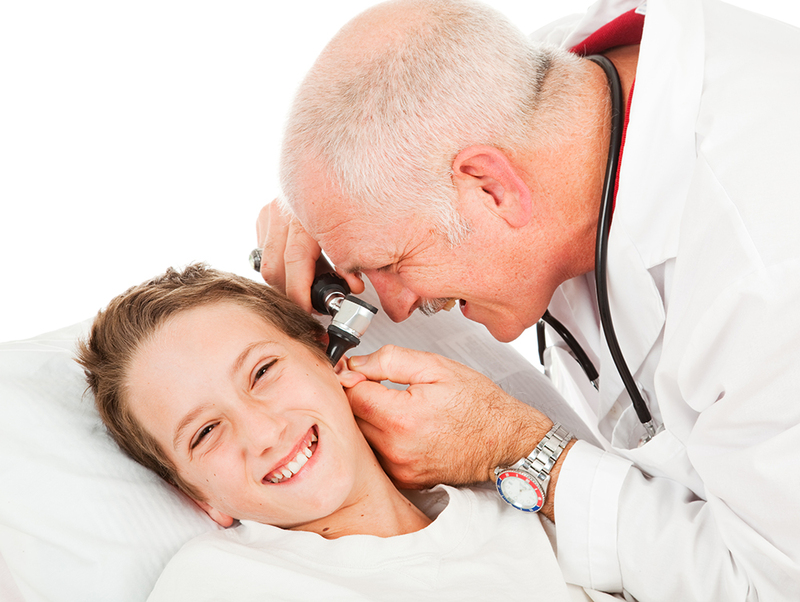 Most of the healthcare providers make use of otoscope for examining the symptoms of ear illness. 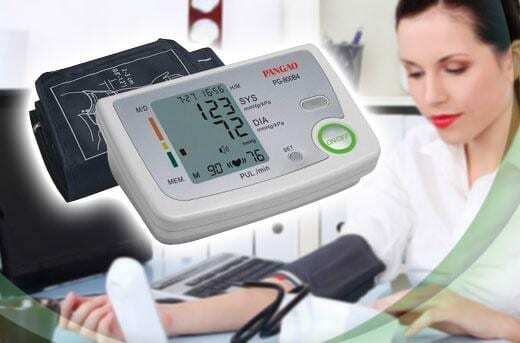 It can also be used on a daily basis for regular check-ups. 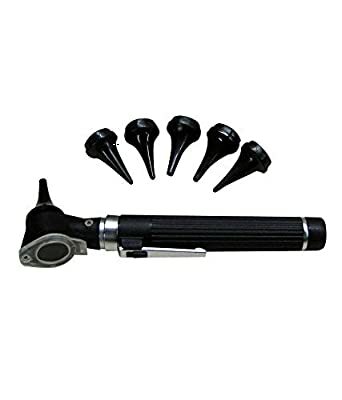 The ear otoscope is used by an ENT specialist for examining ear. The eardrum is a border, which separates the external ear from the middle ear and the characteristics of eardrum help in indicating the diseased condition. For examining an ear, the examiner inserts the ear speculum side into the ear canal from the external ear. It is essential to hold the otoscope over the patient’s head for avoiding damage to the ear canal. It is vital to place your little finger over the head, and the examination can be done through the lens inside the ear canal. Medical practitioners can get the otoscopes often with an ophthalmoscope that comes as a diagnostic set. An otoscope is widely used for examining diseases like otitis media, otitis externa, and infections in outer and middle parts of the ear. Few otoscopes are even applicable for examining nasal canal and upper parts of the throat which can avoid the use of separate instruments. The most widely used otoscopes are monocular devices which can only give a two-dimensional view of the internal parts of the ear. Other otoscopes can be used along with a binocular microscope, connected to a metal ear speculum, which helps in providing a larger field of view. It has an additional advantage of better lighting, stability and depth perception. In most of the cases, the binocular view is preferred as it helps in judging the depth. Otoscope usage is not only limited to examining the ears, but it can also be used for examining few other parts of the body. In some cases performing venepuncture in infants can be very difficult as the veins are very small in size. Therefore, otoscope can be useful in illuminating the tissue of infants and facilitates in venepuncture. In demonstrating hydrocele, the otoscope light can be helpful in visualizing the pea size shadows which avoids the difficulty of the surrounding fluid. An otoscope is also implemented in cranial transillumination that can aid in diagnosing cerebral cysts and hydrocephalus. It is performed in dermatology for observing surface lesions, microvascular telangiectasia, and penile skin oedema and in cryotherapy. Helps in detecting septum deviation in new-borns; especially in case of babies born from C-section. Detecting the urethral lesions where the otoscopes are inserted and observed carefully. Extracting and identifying the foreign bodies from body orifices that happen in most of the emergency cases. Otoscopes are also helpful in investigating genital complaints and abuse as they can be aided with a pediatric otoscope. In examining eyes, they are useful for performing various tests. They can check the red reflex with the help of an ophthalmoscope. They can help in detecting hyphema and cataract wherein the pupil reflexes can be observed. They are even widely used in veterinary medicine and laboratories where it aids in research involving rodents and incubation of small mammals. Otoscopes are used as an alternative treatment for laparoscopy for guiding the biopsy needle. Also helpful in determining avian gender. What is a difference between an otoscope and ophthalmoscope? 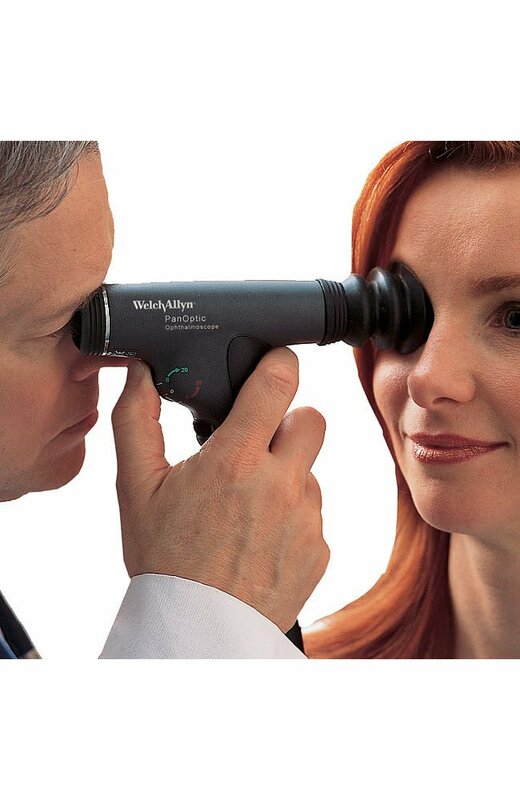 The ophthalmoscope is the instrument limited for usage by ophthalmologists for checking eyes for any disease. The instrument shines the light through pupil that helps practitioner in examining the interior parts of eyes that are referred as fundus. It helps the doctor in examining the parts which form fundus that includes optic disc, retina, and macula. This is performed as a part of the routine check-up of the eye and physical examination. Both instruments differ in appearance, as the head of the ophthalmoscope is flat on two sides which do not come in contact with eyes. Whereas, otoscopes has a cone-shaped tip that protrudes which helps in examining patient’s ear. 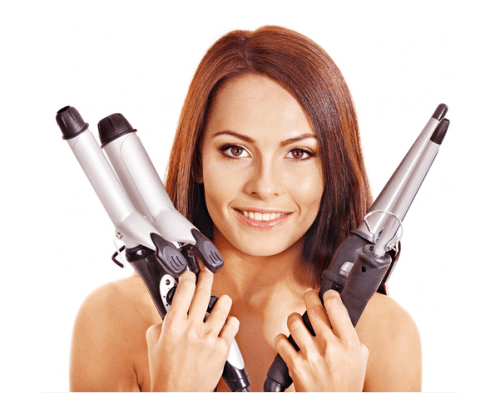 The tips are usually covered with speculum covers that can be used during the examination. Though they both are almost similar in shape, most of the ophthalmoscope is designed which can be worn on the physician’s head. Otoscope consists of three major parts, where one is the handle that contains a power for emitting light, the head which has the light bulb and a magnifying lens. The last one is the cone that is inserted into the ear canal. Otoscopes sometimes come with a handle and head that contains magnifying lens and light source. The end of otoscope has plastic ear specula which can be used for insertion and can be removed for cleaning to prevent infections. The wall mounted otoscopes consists of a power cord to the base that holds when unused. The portable otoscopes are used with the help of batteries which can be recharged from base unit as per the requirement. Welch Allyn pocketscope otoscope, is a best professional otoscope which comes with halogen light for examining right tissue color and consistency. It can last for a longer time with detachable otoscope head and comes with a throat illuminator. The multipurpose otoscope has a unique feature of fiberoptics that cause no obstructions and reflections. The wide angle viewing lens can help in magnification and instrumentation of the observed tissues. 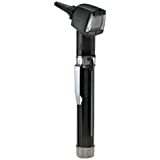 Welch Allyn 25020 diagnostic otoscope with specula is a best professional otoscope that is available at $118. It provides better light output for examining the consistency and actual color of tissues. It helps in providing long-lasting illumination where there are no obstructions and illuminations. It is suitable for different sizes of specula that comes from 2.5-5mm which comes as a sealed system. 4th generation Dr. Mom led pocket otoscope, is a fantastic otoscope for parents. It can be used at home for observing ear canal, and it is one of the bestselling home use otoscopes. It comes with high spectrum LED light that can help in making clear observations. There are no fragile parts and comes with batteries and reusable specula for adults, children, and infants. It can be purchased in a range of $75 that can be shipped to any place. 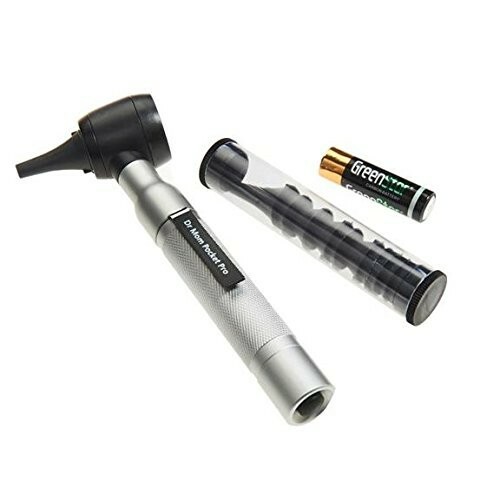 Welch Allyn 22820 Pocketscope Otoscope comes with a throat illuminator and battery handle. It is the best otoscope for nurse practitioner as it can be easy to use that comes with while halogen light which is small and convenient. It is manufactured by one of the best otoscope brands, and it can be detached as a throat illuminator or all-purpose light. It is made of fiberoptics that provide firm light without obstructions and reflections. Wide angle lens can help in magnifications that have sealed system for pneumatic otoscopy. Heine Otoscope Mini 3000 with Handle would be available on best otoscope deals that have the finest magnification and multiple usages. It has been purchased by many which are available at $90 that can be delivered at home without any issues. Many reviews certify that it as the most useful product in otoscope view. 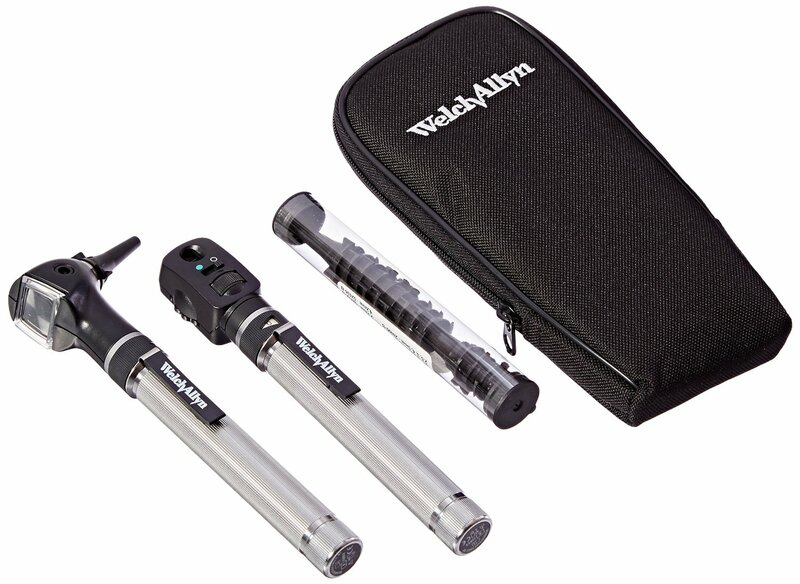 Labgo Welch Allyn Pocket Otoscope Set 0002 is available at $160 though expensive; it has got the finest features that differentiate from other products. It comes with a completely reusable speculum with a separate battery handle. It is small, convenient and flexible in usage with white halogen light and an illuminator. 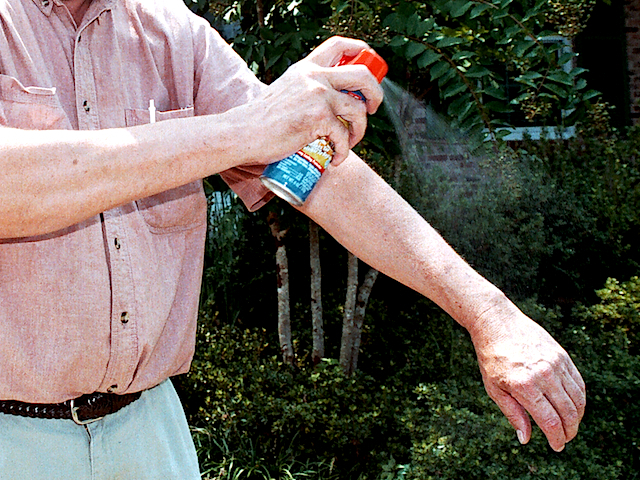 The light can be helpful in distinguishing the consistency and tissues that are infected. The long-lasting illumination makes it a useful otoscope that can be carried conveniently and makes it an all-purpose light. KASHSURG 2.5 V Basic Student Pocket Scope, Otoscope, Auriscope with AA Battery Handle is the cheapest otoscope available at $15. It can be used at home and by professionals for examining the ear thoroughly. NEW RA Bock 3.2V Bright White LED otoscope the set includes few disposable specula adaptor along with three reusable specula which come in a leather case. It makes it easier to carry to various places. It is available at $50 that is affordable in getting a high-end otoscope for regular usage. 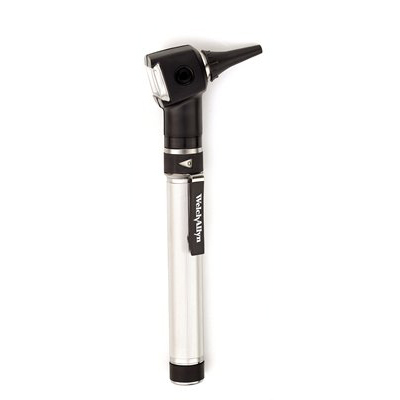 SPECv3 Fibre Optic LED Otoscope approved by physicians and various ear care professional. It has been designed for examining at home that comes with a reusable speculum in different size. Highly recommended and useful otoscope comes at a price of $55. New Bright WHITE LED Professional Diagnostic Otoscope in Hard Case is available at $50 that has a glass lens which does not become dull over time, and it is scratches free just like a plastic lens. The otoscope has been designed with 3.2 V bright LED light with a perfect size. It is best suited for home usage, since it is made of durable chrome plated bars. It is one of the otoscopes with the best performance at affordable price. Ento Digital Otoscope is the greatest tools for examining the inner parts of the ear and for diagnosing the health problems which can provide a chance for controlling. The device can be helpful in capturing images of ear and throat. It can be a healthy way of diagnosing and can provide the baseline images for comparing. The camera though small can fit easily in the ear canal of children above five years age can capture images that also provides light for viewing the tissues clearly. The lens is water resistant that can be used with water-based cleaning agents. 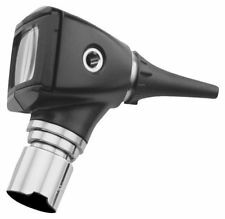 One can select the instrument based on the best otoscope deals depending on the usage of instruments. There are otoscopes which are budget-friendly and can provide a clear view of the ear canal.